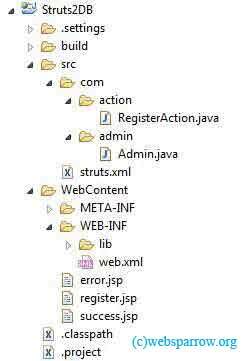 This Struts 2 tutorial explains how to connect with the database using the Struts 2 Framework and save the details in the database table. We are going to use Struts 2 UI tag to make application simple and reliable. Creating a table in MySQL database to store the data is very first step. Here is the table script. Step 2- Now create the Data Access Object and Action class.